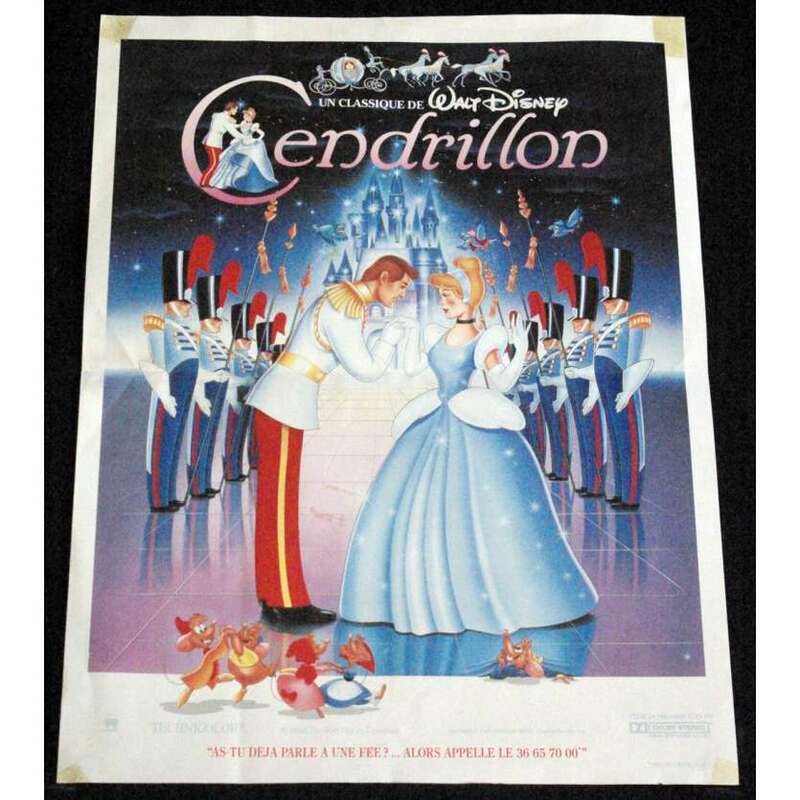 CINDERELLA Movie Poster directed by Disney with Ilene Woods - R-1970 - Size: 15x21 inches approx. Condition: Very good (C6), tape, stains on back. Folded.